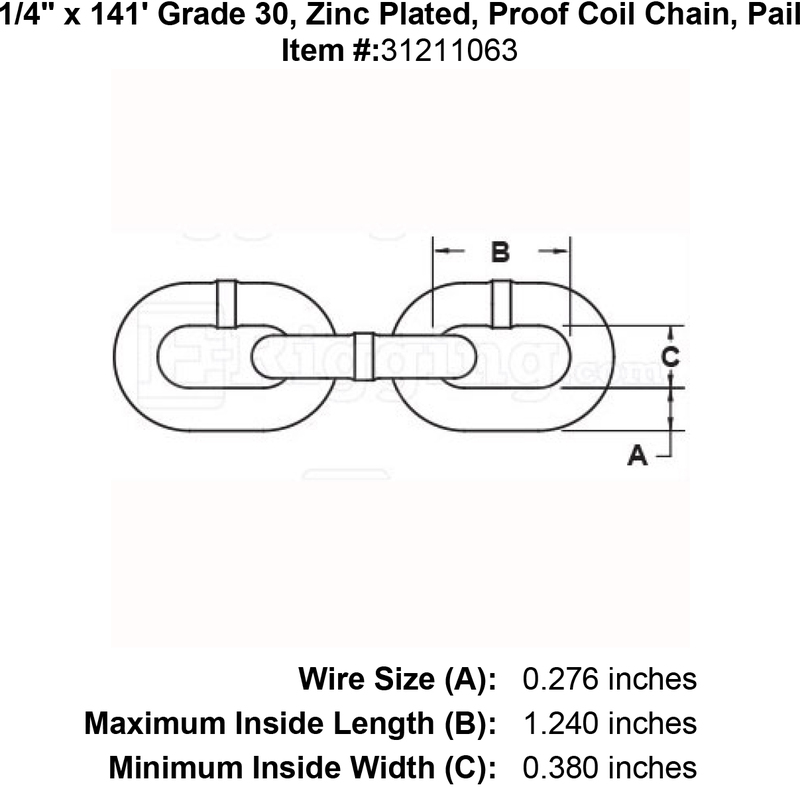 1/4" nominal diameter, Grade 30 proof coil chain. Zinc Plated finish. 141' Pail. 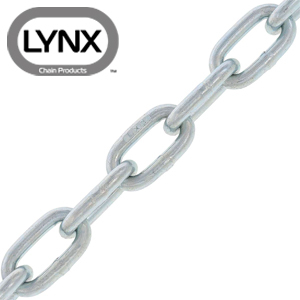 A general utility chain for farm, industrial and home applications such as log chain, cargo lashing, pipeline hanging, tailgate, guard rail, tow and switch chain. Design factor of 4:1. Imported. Working load limit: 1300 lbs. Not To Be Used For Overhead Lifting. Inside width of link is: 0.48". 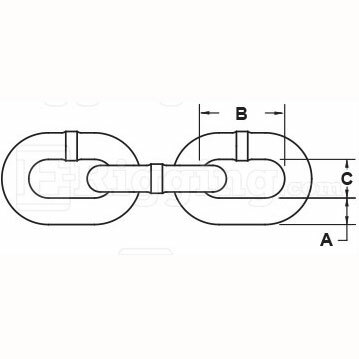 Inside length of link is: 1.24". Weight per foot: 0.61 lbs. 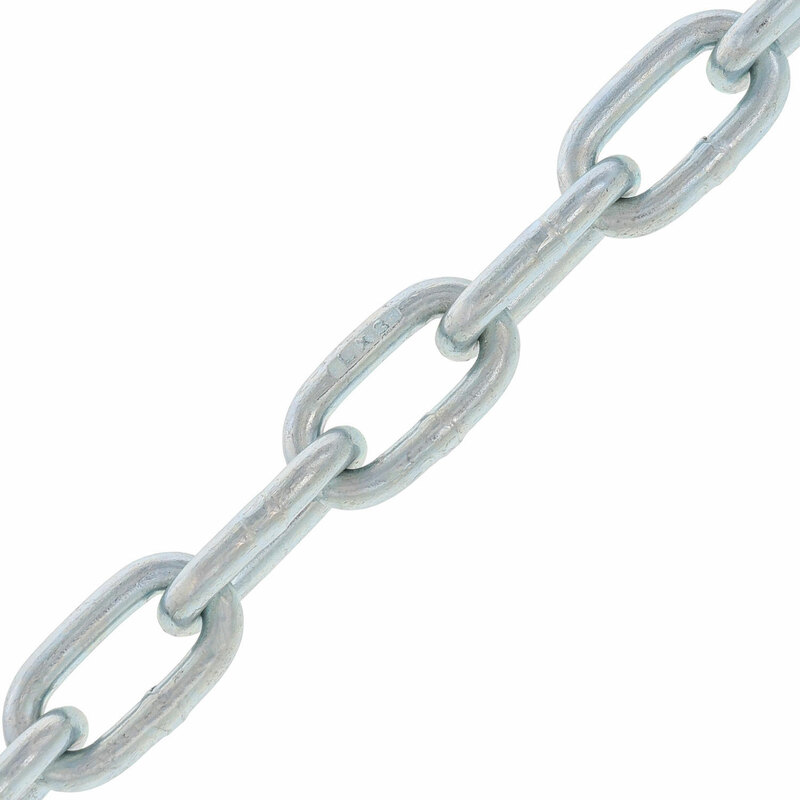 Accessories for these chains are Quick Links, Connecting Links and Lap Repair Links.